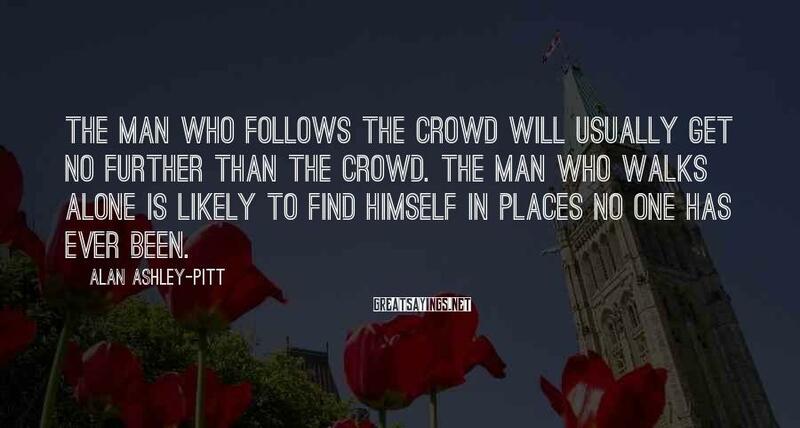 3 Alan Ashley-Pitt Famous Sayings, Quotes and Quotation. 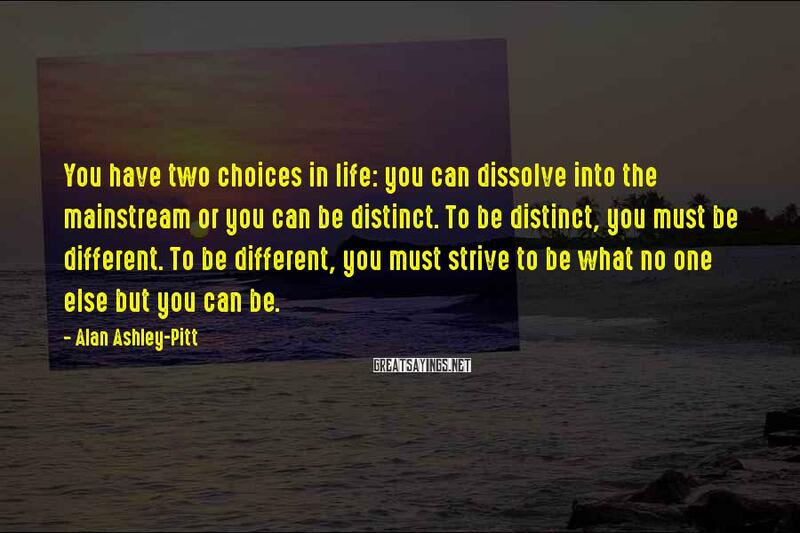 You have two choices in life: you can dissolve into the mainstream or you can be distinct. To be distinct, you must be different. To be different, you must strive to be what no one else but you can be. without its difficulties, for peculiarity breeds contempt. The unfortunate thing about being ahead of your time is that when people finally realize you were right, they'll simply say it was obvious to everyone all along. You have two choices in life. 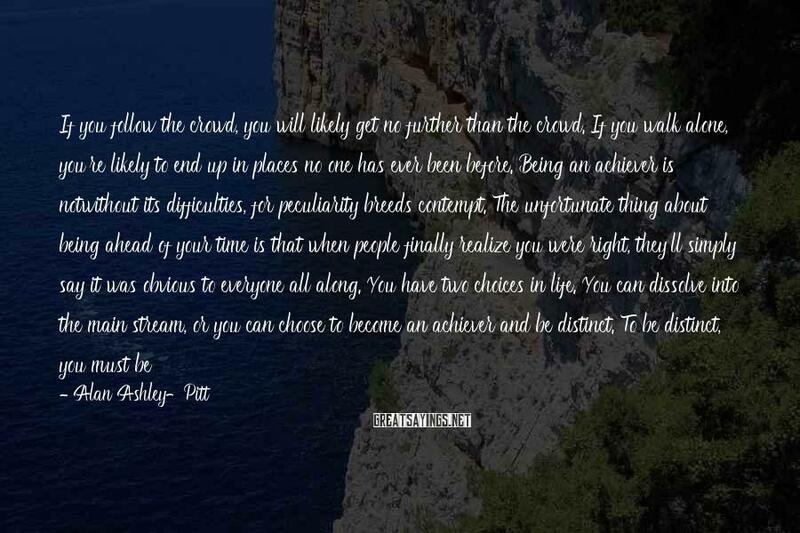 You can dissolve into the main stream, or you can choose to become an achiever and be distinct. To be distinct, you must be different. To be different, you must strive to be what no else but you can be.